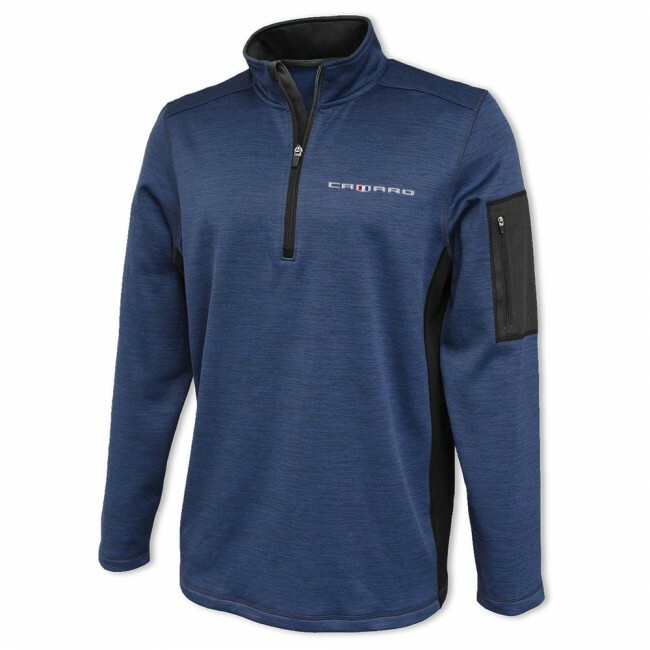 With a soft exterior, fine horizontal pattern, and a brushed fleece interior, this quarter-zip has a very sharp look and feel and seals in warmth. Black contrast side panels and inside collar. Left sleeve pocket with zipper. Camaro Heritage logo embroidered on left chest. 100% polyester. Imported.